Are you at risk of eviction, foreclosure or utility shut-off? Please call 609-396-9355 ext.11 to see if we can help. 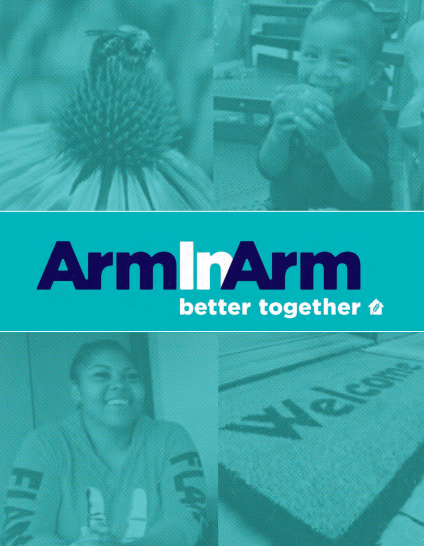 Arm In Arm helps neighbors in need stabilize their housing through security deposit assistance, back rent or foreclosure support, and utilities assistance. Households with complex barriers to stability may be referred to our housing stability case management program for longer term support. The emergency financial aid we provide helps hundreds of families and individuals remain in place, preventing the negative effects of dislocation, separation, and disruption of school and work. In 2018, we helped 604 families and individuals stabilize their housing situations. Please note, Arm In Arm can provide financial assistance to an individual only once in a calendar year and up to two times in five years. Completing the intake process does not guarantee assistance. A staff member will ask some initial questions to understand your circumstances. If you meet our eligibility criteria, we will review your case. If approved, we will issue a promissory note and work with you to create a manageable budget plan with your landlord or lender, as well as the court and partner agencies. Once we receive all required documents from you, we will pay the landlord, management company, or lender directly. Please keep in mind we have limited funding. Completing the intake process does not guarantee assistance. Please call 609-396-9355 ext. 11 or ext.17 for pre-screening. If you are scheduled, please make every effort to keep your appointment and arrive on time. We cannot hold your spot. You must bring all required documents if you are scheduled to be seen. We are able to assist about twenty households a month with utilities. If you are eligible, a staff member will speak with the utility company representative to verify the minimum payment necessary to restore or maintain your service. We will pay the utility company directly as soon as you pay your portion or set up a payment plan to do so. We can provide up to $400 for utilities and may also refer you to other agencies for further assistance.